From the time of its creation, the AMA team investigates fundamental processes in ion collisions. In 2006, evidence for Young-type electron interference effects was given by the AMA team. 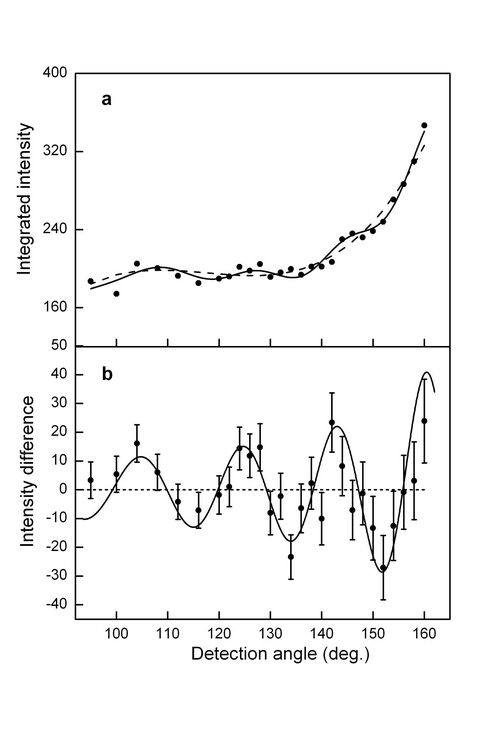 During the 2010-2015 period, special effort has been devoted for a model description of the experimental results. In parallel, advantage has been taken from the local expertise in imaging experiments and atom/ion trapping techniques to measure shake-off probabilities for ionisation processes. A new generation of fragmentation experiments involving rare-gas dimers has been initiated in 2010. These experiments have given access to impact-parameter dependent cross sections and have revealed the fundamental role of the interatomic Coulombic decay in the emission of slow electrons. Schematic view of the electronic levels of a Neon dimer and the principle of the Interatomic Coulombic Decay (ICD) process : after initial inner-shell ionization on one of the Ne atoms, the filling of the hole leads to an electron emission from the other atom through a virtual photon exchange. 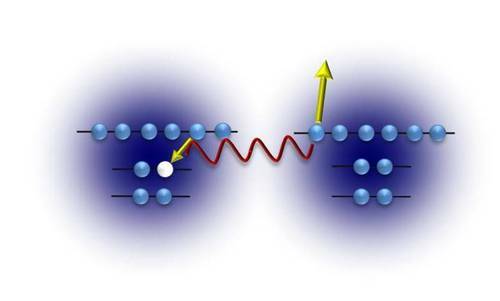 Recently, the investigation of fragmentation processes of neutral atomic and molecular targets bombarded by positive molecular ions has shown the ejection of negative fragments from positive collision complexes. 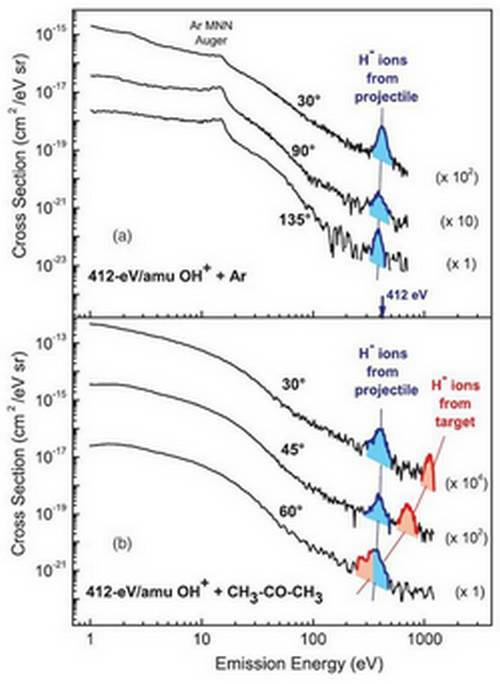 A new and general anion-formation process has been discovered. Cross sections for emission of negatively charged particles at different observation angles. (a) 7-keVOH+ +Ar collisions. (b) 7-keV OH+ +acetone collisions. The curves represent electron emission, while the color-shaded peaks represent H− emission. The multiplication factors on the right side are used only for graphical reasons. A four-body semiclassical model has been developed to describe interferences observed in the angular distribution of Auger electrons emitted after double capture in 30-keV He2+ + H2 collisions. The model is based on both the corpuscular and wave behaviors of the emitted electrons. The corpuscular aspect is used to determine the trajectories of the collision partners, while the wave behavior occurs only in the determination of the phase shift. The results of the calculation are found to reproduce the experiment remarkably well. Series of maxima and minima are found in the angular distribution, with periods that are close to the experimental values. In addition, at a fixed angle, oscillations in the energy distribution can be clearly evidenced in both the experiment and calculation.